This week we caught up with UK Money Blogger Emma to discover her top blogging & money saving tips and tricks. Hi I’m Emma, the one-woman team that created beemoneysavvy.com. I first created Bee Money Savvy in 2017 with the intention of passing on my financial wisdom to my fellow millennials, aspiring home buyers and anyone looking to join me on my journey to financial freedom. Using the tricks mentioned on beemoneysavvy.com you’ll be able to increase your income, get tons of freebies, save £1000’s, and move one step closer to your financial goals! Growing up I saw my parents barely getting by with their finances after falling into debt following some bad financial advice. Watching my parents trying to provide for their family while living from pay cheque to pay cheque made me very money-conscious. When I started working I promised myself that I would help my parents get out of debt. Finding smart ways to save money and earn extra on the side allowed me to help pay off all my parents debt (including their mortgage). I now want to help more people to achieve their own version of financial freedom! I’ve always been pretty good with my money & have always had people coming to me for advice on their finances. After graduating (in 2017) I got a part-time job and wanted something to fill the hours outside of that job so I decided to write all my money saving (and making) tips online! I bought the domain beemoneysavvy.com last year and have been trying to reach out and help more people manage their money ever since! My most popular post to date is my £100 Christmas Challenge that encourages readers to earn an extra £100+ leading up to Christmas! With pressures from family, friends and TV adverts plunging Brits into debt at Christmas (and nearly 60% of households making sacrifices to buy Christmas presents) my main aim when writing the post was to help people get through the festive season without any financial hiccups! I’m really proud of a recent post titled ‘Simple Sustainable Swaps’. While I love creating content around the topic of saving/making money, I’ve always been really interested in sustainability and finding ways to incorporate a sustainable lifestyle on a budget. In my ‘Simple Sustainable Swaps’ post I show the small changes that I have made to reduce the impact I’m having on our wonderful planet. I hope that it encourages more people to start introducing sustainable habits. Find your people. When I first started blogging I didn’t really know who my ‘audience’ was. Once you figure that out it makes it so much easier to come up with post ideas and reach out to those that will gain the most from your content. 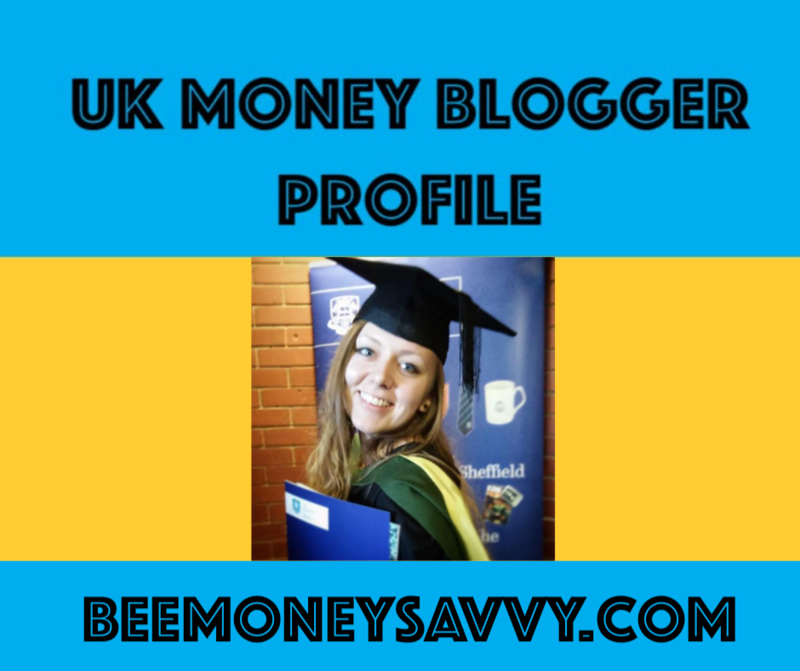 I have learnt so much from the bloggers within the UK Money Bloggers group! In my short time as a money blogger being a part of that group has opened me up to new opportunities, campaigns and tips! The 3 money bloggers that I take a lot of inspiration from are Emma Drew, Andy (Be Clever with Your Cash) & Nikki (The Female Money Doctor). Check your bank balance! So many people are paying for services that they don’t use anymore because it’s taken out of their bank without them realising! A friend of mine recently realised that she’d been paying for a subscription service that she’d forgotten about for 2 years, costing her £100’s! Download your bank’s app, sign up for transaction reminders and regularly check what is going in and out of your account! What is the best bargain you have ever bought? The broadband deal I got last year! I managed to find an £18 a month deal but then went through a cashback site and got £110 cashback plus a £50 prepaid card. With the money from cashback and the pre-paid card my broadband works out at £56 for the whole year! What is a product / service you are happy to pay the extra for? Tea. I love green tea and love to brew my own loose leaf tea. Loose tea leaves are not as money savvy as tea bags but it taste soo good! I used to be a big lover of sports (and studied sports development at university), my biggest sporting achievements include: trialling for the England Women’s U18’s Football Team and managing the U16’s (Tanzanian) girls team in the final of the East African Cup. And finally…where can we find you on social media?